In the home, the average person uses 150 litres of water every day. Around 50% is not required to be mains water quality. 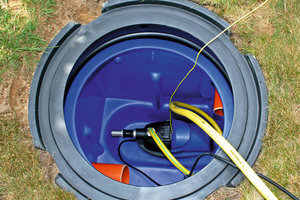 A rainwater harvester works by collecting the water that falls on your roof, this water is then channelled down through the guttering and pipework into a tank, usually located underground. The stored water can be used in your washing machines and toilets, for watering the garden and washing cars.